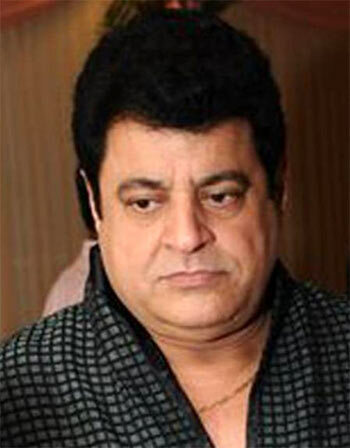 Is Gajendra Chauhan having the last laugh? Gajendra Chauhan, Chairman of Films and Television Institute of India, is a happy man. 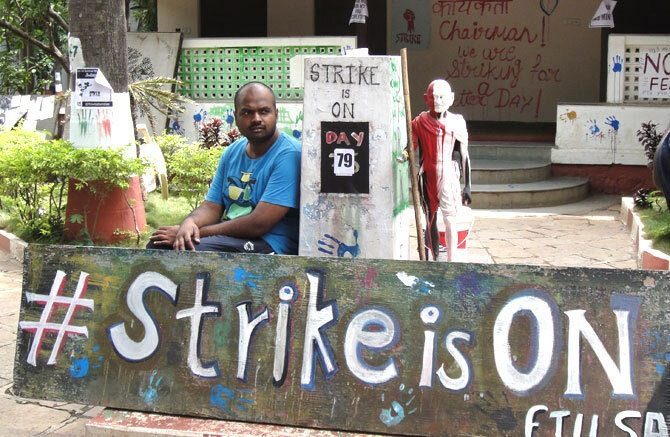 After 139 days of strike to protest his appointment, students have gone back to class. Bollywood's filmmakers may not like the latest development but Chauhan is already planning his next move. He tells Syed Firdaus Ashraf/ Rediff.com what will happen next. What is the reason for the students’ change of heart? We had four-five meetings in October; I feel it is the outcome of that. The last time they met the minister (Minister of State for Information and Broadcasting, Rajyavardhan Singh Rathore) was on October 20. Are you hopeful that everything will run smoothly in FTII now? The strike is over and classes will resume soon. We will sit together with the students and talk to them on how to proceed with work. I am a very positive man and will try to make sure everything runs smoothly from now on. How did you spend the last 137 days, when the students were on strike and the institute was shut? From the day the strike began on June 12, I said strike is not the solution. I told them we must sit together and talk. The students said they have nothing against me. They wanted to sort out some issues with the ministry. Maybe it took long to sort out those issues. Now, we have to follow the directive from the ministry. But the issue was that students did not want you as the chairperson of FTII. That is what we were reading in the newspapers, that students said these things. After (Congress vice president) Rahul Gandhi hijacked the issue, it became a political issue. I don’t want to get into all these things. I want to take this development in a positive way and want to work positively in future. So what were the other issues? Students had always told me that there was nothing personal against me. They have said so many times. They wanted certain suggestions in the appointments but constitutionally and legally, that prerogative is with the government. The government took the decision to appoint me and gave me this responsibility. And I am ready to take this responsibility now. If students didn’t have a problem with your appointment, why did they go on strike? Please ask this question to the students. What vision do you have for the FTII? I want the students to come with me and work. Also, the people who work at FTII, they must come together as well and work as a team. We have only one aim, and that is to work for FTII. There is a lot of backlog that must be finished. Some administrative problems have to be solved, too. The film industry and FTII have a very symbiotic relationship because people who work in the film industry have come there after studying in FTII. I will call these film industry people to FTII if the need arises so that they can guide the students in their respective careers. I have a lot of plans in my mind and want to go ahead with positivity. Let us see what the future holds. Will you take action against the students? I am not in a position to comment on this issue right now. I need to see the files as to what the cases are. But I would want the cases to be in students' favour only. Do you think students with leftist views will overcome their dislike for the Narendra Modi government and work together in future? I don’t think there are two different views at FTII. Samay apna khel khelta hai (time plays its own games) and things change after some time. Now the time has changed and students have agreed to take back the strike. My only hope is that we work with the students and bring glory to FTII. You must also note that FTII's education is the best and it is very difficult to get admission. Only brilliant students can join the institute. And students must see what is best for their future. We will form the governing council in the next meeting. Will you take help from people like, say, actor and BJP member Shatrughan Sinha? The FTII society already has experienced people. There has to be teamwork, the chairman cannot work alone. The team will form a governing council and this council will have meetings and make decisions. And those decisions will be implemented.